As we flip our calendars, it’s hard not to notice that we are in winter’s icy grip. This change of seasons is our cue to start digging out the warm sweaters, snow shovels, and soup recipes. daughters to look for the best ways to protect our kids’ skin from the winter weather. Eat for your skin. We have all heard the adage about “you are what you eat”. There is a little truth to this saying when it comes to our skin. Encourage kids to consume healthy foods and drink plenty of water. We can prevent a lot of skin problems by consuming foods that are loaded with essential fatty acids, such as: avocados, flax, olive oil, walnuts, and even salmon. Add moisture to the air. Do you remember shuffling our feet on the carpet to build static electricity to shock unsuspecting siblings? Many of us do and this time honored tradition occurs partly due to the fact that winter air can be dry, especially inside our homes. This low humidity can cause our littles to experience painful dry, itchy, and rough skin which can be very uncomfortable. We can relieve some of the dryness by adding moisture back into the air using warm air humidifiers or by boiling a large pot of water on the stove. Aim to reach a 60 percent humidity level for ultimate comfort. However, we do recommend using caution and keeping these items out of the reach of children to prevent any mishaps or burns. Moisturize their skin. Unfortunately, adding humidity to the air doesn’t always keep dry skin away. According to the American Academy of Dermatology, the key to defending kids against dry skin is to trap in the existing moisture by using ointments or creams. For best results, use products that contain the following ingredients: lanolin, glycerin, petroleum, mineral oil, olive oil, and other essential oils. It is best to apply moisturizers immediately after bathing to lock moisture in and prevent further drying. Skip the nightly bath. Surprisingly, our boys and girls don’t need to take a dip in the tub every day or evening. Daily bathing can remove the skin’s natural oils and do more harm than good. Overbathing can cause eczema and other dry skin conditions to flare up. According to the American Academy of Dermatology, we only need to bath our children one or two times a week. Unless, of course, they are particularly smelly or dirty. Even then, we should avoid using extremely hot water and limit their soaking time to 5 or 10 minutes. Layer, layer, layer. Avoid over-bundling and layer our kids’ clothing to prevent chafing, overheating, and irritation. While our first instinct is to insulate them against the bitter cold weather, we need to dress children like an “onion” with peelable layers. Start out with a layer of cotton and then add on removable layers so kids can easily adjust to the unpredictable weather and temperatures without a lot of effort. This can prevent heat rashes, sweating, overheating, discomfort, and more. Remember the sunblock. Yes, our skin still needs protection from the sun’s harmful rays even during the winter months. We need to consider that even when it’s cold and cloudy, 80 percent of the winter’s sun rays still make it to our earth’s surface. For this reason, our children are being exposed to UVA rays without protection and that can increase their risk for skin cancer in the future. To make matters worse, snow cover reflects and intensifies sunlight which can increase the likelihood of sunburns. These winter factors make it important that we keep applying sunblock on our sons’ and daughters’ delicate skin long after the dog days of summer. Avoid irritants. Our goal should be to prevent skin problems so our kids don’t suffer and we don’t have to treat them. One way we can do this is by avoiding irritants by keeping little ones out of harsh winds and avoid overuse of hand sanitizers, cleaners, harsh soaps, damp clothes, or very hot water irritants. What are the best ways you can protect your kid’s skin from winter weather? My day started out like it normally does. I take a 25-40 minute train ride, depending on the day, from my apartment in Malden into downtown Boston where I work. I get on at the second stop on the line so the train is usually fairly empty. As the train choo-choos along people pile in. By the time it gets to North Station, a connecting hub, it’s jam packed. I usually enjoy the commute. I have a playlist I listen to, sometimes a podcast, but mostly I let my brain wake from the slumber of sleep to the bustle of the busy day ahead. It’s a process. onlookers to look. They not only look, but they stare, point, sometimes name call, which happened lots when I was younger. Now, as an adult, I just avoid eye contact all together. This was not the case this morning on this train. I was uncomfortable. I glanced over at my ‘admirer’ like a reflex. It was a younger woman, mid-20’s, headphone chords coming out of her ears and sunglasses resting upon her head, chomping on gum between her pearly whites, which I fantasized punching out. There she was...staring. I smiled, politely, not really in the mood to exchange much more than a nod, then I looked away. I fumbled with my phone for the next song on the playlist. I’d like to tell you it was something inspirational like ‘Born This Way’, by Lady Gaga or ‘The Way You Are’ by Bruno Mars because that would have been terribly ironic and a bit sappy, but it wasn’t. When the next song started I felt her stare again, look, and then look away. I was losing patience and suddenly felt so small. Thankfully, my stop arrived moments later. I was able to shuffle off of the train, wishing I could be another anonymous face in the crowd, but instead I knew I stuck out like a sore thumb. Normally the “stares” don’t bother me. Today it did. Like I said, when I’m on the move I don’t even notice them. There is quite literally nothing I can do to change the way I look. Sadly, we live in a society where if you look slightly uncharacteristic than the rest of the population you are an anomaly that deserves every gawk, gape, stare, and judgment that’s sent your way. I found myself in a funk for most of that day. This state was a personal struggle. I don’t like to live in “Funkville.” I am overall a fairly happy person, approachable, laid back, and friendly. But that day, I was in a funk. I didn’t really want to talk to anybody. I was moody. Annoyances found me at every task, and well, I was just sad. A lump lived at the back of my throat, taunting me to start weeping at any given moment throughout the work day. I couldn’t. I needed to be professional, I needed to stay composed and focused. Bursting into tears in front of co-workers would ironically make me look…weird! I reached out to my partner towards the middle of the day. He’s literally one of the only people on the planet I know who knows how I feel. He too has Apert syndrome. He’s been on the receiving end of the stares, the gawks, and the whispers. He’s felt the hurt. It’s literally the foundation of our relationship. He, of course, was comforting. Finding himself in similar or identical situations, he was able to empathize and agreed that this was indeed “Funkville” and it was okay for me to stay there. He validated my feelings. Sometimes that is all we really need to make it through tough emotions. The next day came, and so did the stares, as expected. For some reason I didn’t find myself as effected, but there they were, and there they will continue to be. Knowing that I can let those beady stares roll off my back is a comfort, but knowing that I can travel to "Funkville" for solace is almost as redeeming. 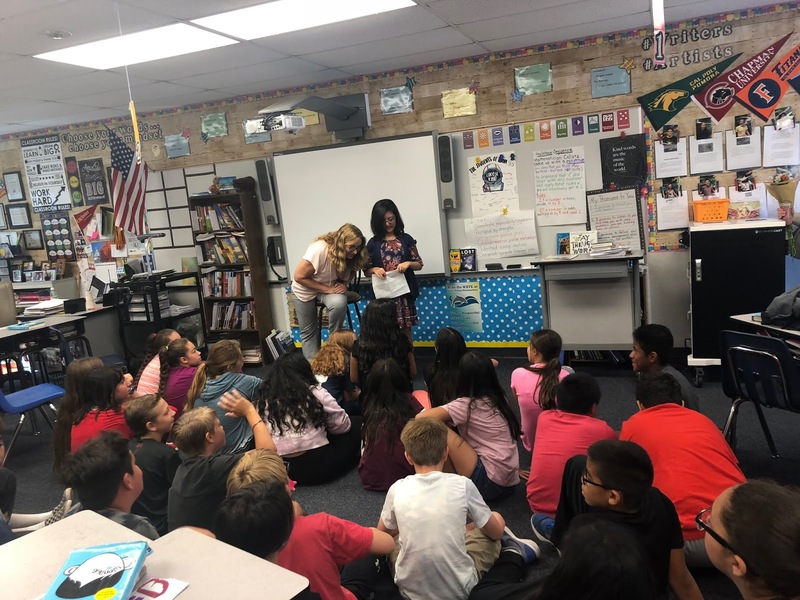 Thank you Victoria Green for sharing your #Wonder story at Lake Forest Elementary School in Lake Forest, CA. 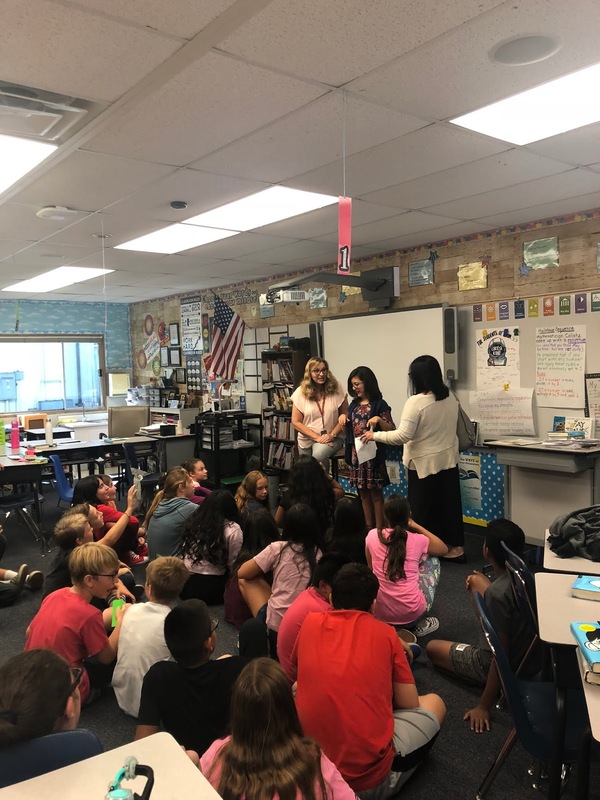 From all the pictures you took, it looks like these 5th and 6th students really enjoyed your presentation. They even gave you a round of applause. After all, everyone deserves a round of applause at least once in their life. We have a feeling you will be receiving many more ovations in the future. Thank you, Victoria! The holiday season is full of family, friends, and frenzy. 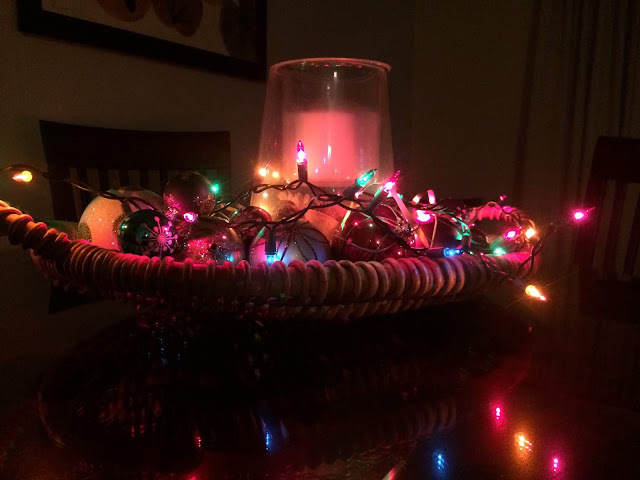 Moments of silence, meditation, and yoga can be helpful to quell the craziness of the season. Leo Babauta of Zen Habits suggests these mindfulness techniques that can be done anywhere at any time. Many people around you will not even notice you doing these breathing and mindfulness exercises. I know they will help in the moment. Then, take it to the next level and set aside time each morning or night to practice them for creating long-term calm. Take them for a spin and report back in the comments. Happy Holidays! The holidays are some of the busiest and most stressful times of the year for many people. In this chaotic time of travel, family gatherings, holiday parties, gift shopping and wrapping, and more … I’d like to offer a simple practice. This is a mindfulness practice to bring presence and relieve stress, and allow you to be with your loved ones (and yourself) in a more loving way. Let go of everything you need to worry about, and just drop into the present moment. Notice what your body feels like, notice your surroundings, notice what it feels like to be alive in this moment. See if you can be kind to yourself for a moment. Turn inward and give yourself some kindness. Relax your feeling toward yourself and allow it to have a friendly quality. Bring gentleness and relaxation into this moment. 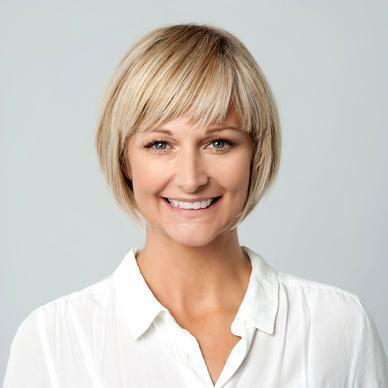 Relax your body, relax your face, and have a relaxed, gentle attitude toward your experience. That’s it. Drop into the present moment, be kind to yourself, and bring gentleness and relaxation into the moment. See if you can love this moment just as it is. Without needing it to change. Without needing others to change. Just as it is. Love it completely. Do nothing but whatever you’re doing. Just one thing. If you’re washing a dish, let that be your whole world. If you’re talking to someone, let that be the only thing in the universe. If you’re reading, doing a task, replying to an email, let that be all that you are doing. Everything else can drop away. As you move through the busyness of these holidays, think of this as a wonderful opportunity to practice and open your heart. 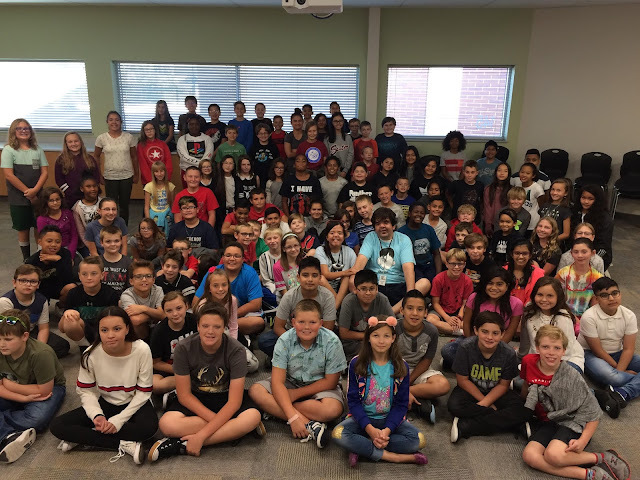 Many of us have shared our stories in "Wonder"-related presentations, while others have taken to the page to publish their tales of strength and resilience. Check out these books that are in currently available or in the works. If you are writing a book, or are writing one, please let us know so we can share it with the world in a future blog post. "Dear Mighty Kids will have a one page story for each of the 100 Mighty Heroes. The stories will be based on interviews with the Mighty Heroes. Each Mighty Hero will also write a short letter to Mighty Kids with their advice on how to pursue their dreams... the "Dear Mighty Kids" part of the book. The stories will talk about the condition the Mighty Hero has and the challenges he or she faced; However, the focus of the stories will be the Mighty Hero's proudest accomplishments and how they achieved their dreams. The Mighty Heroes will come from all around the world and have a wide variety of professions, including: advocate, artist, athlete, author, doctor, engineer, lawyer, musician, teacher, and many more. The Mighty Heroes will also have a variety of conditions like autism, cerebral palsy, craniofacial conditions, deafness, Down syndrome, dyslexia, limb differences, muscular dystrophy, visual impairment, and many others. Some of the Mighty Heroes will be famous and others you may not have heard of yet." "He was considered a surprise birth with his parents, a couple in their forties who had two grown daughters and were seen as past the child-bearing age. When he was born, the doctors believed he wouldn’t survive due to his life-threatening disabilities. 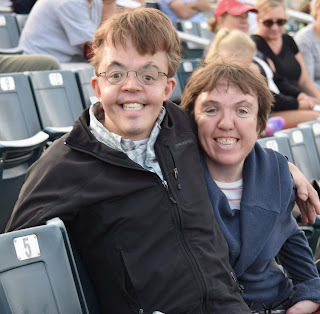 Yet, now approaching the age his parents were when they had him, author Dorsey Ross has lived a life dedicated to serving the Lord and encouraging others to not let their disabilities define the impacts they can make. 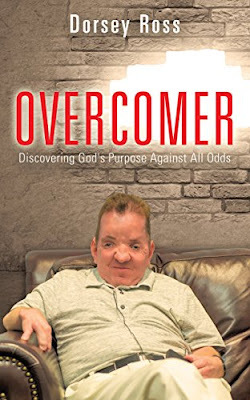 His new autobiography, Overcomer, details the challenges Dorsey faced, as well as those of his family, when he was diagnosed with Apert Syndrome: a genetic disorder that causes abnormal shaping of the skull and face, as well as other birth defects. Pressured by doctors to place Dorsey into an institution, with a belief he would be brain dead soon, his parents decided to take Dorsey home and do what they could to help his life thrive: even if it meant having to endure sixty-eight surgeries for his face, head and hands. What his parents instilled in Dorsey, and what he bestows to others now, is that God brought these challenges into Dorsey’s life as part of a chosen purpose in God’s eternal plan. Even though he dealt with bullying at school and work, underwent more surgeries than any one will ever experience and even had feelings of suicide during desperate times, Dorsey still believed God had a plan amidst the chaos. Overcomer not only shares Dorsey’s extraordinary story with readers, but is also written to influence readers’ beliefs in where God may be leading them. 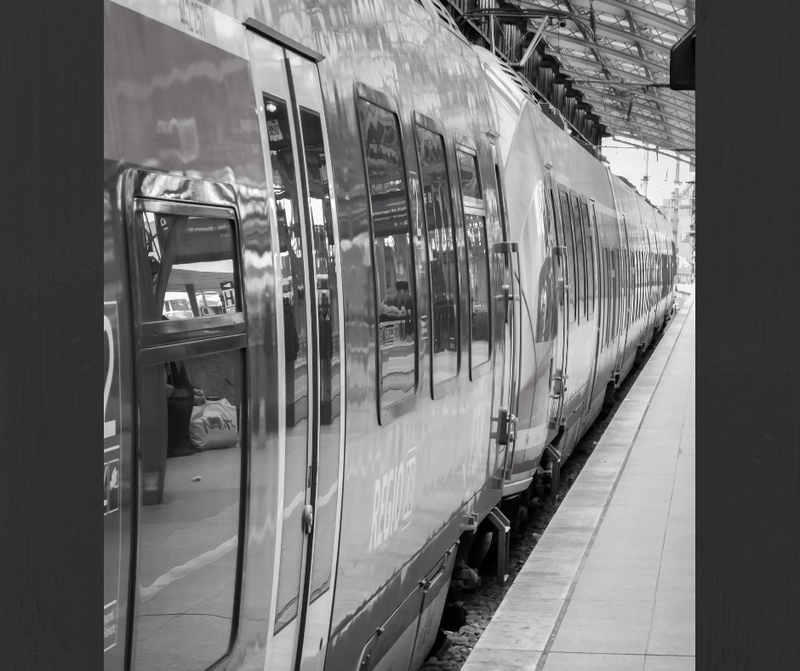 His path led into involvement with ministry, while others could be placed in situations requiring them to not let disadvantages hinder their progress. Some may have given up on Dorsey’s future, but he knew his future was well cared for in the hands of his Heavenly Father." #ThankfulThursday: Vincent Cho Makes Beautiful Music, Raises $625 for CCA! This is such a great #SuperSib story AND fundraising idea for those of you with musical talents. Thank you Vincent Cho for your service and donation of $625 to benefit the kids of Children's Craniofacial Association. 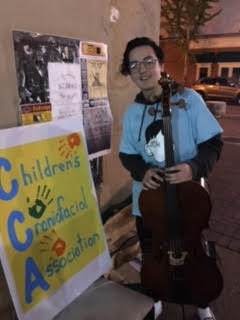 Vincent Cho, age 17, took to the streets of downtown Florence, Alabama with his cello to raise funds for CCA. His street performances included works by Bach, Vivaldi, and Elgar. 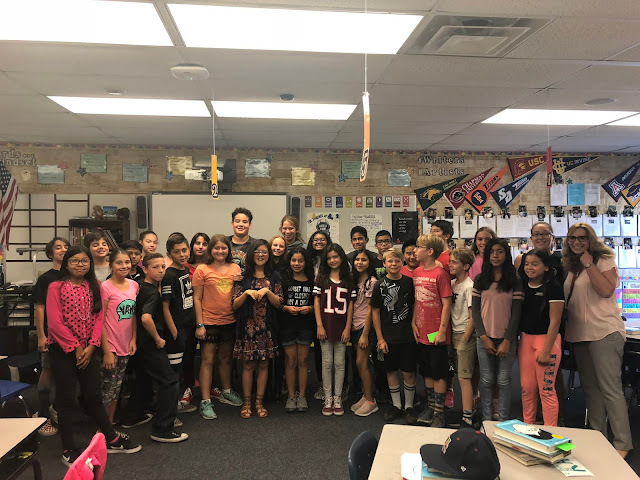 In October and November 2018, he raised $635 in online and cash donations, surpassing his goal of $500! Vincent's choice to support CCA for his senior year community service project stems from his desire to increase awareness and acceptance of kids with craniofacial differences like his 14-year old sister, Annie. 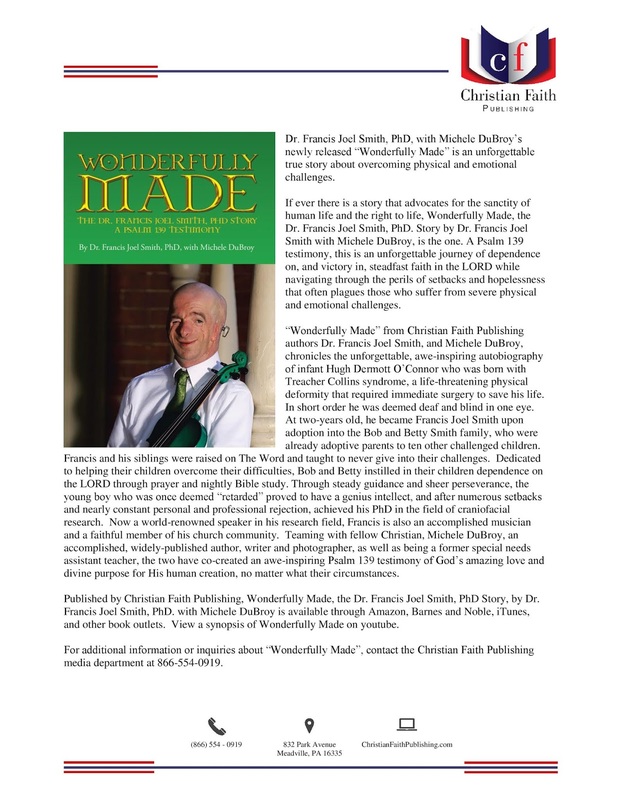 We are really excited to share with you the publisher's press release about the book "Wonderfully Made, a book written by Dr. Francis Smith and Michele DuBroy. Enjoy learning more about this book about the life story of Dr. Francis Smith. Nilah, an 11 year old from New York City did her science fair project on Treacher Collins syndrome after reading and watching the movie "Wonder." She was so in love with the character of Auggie Pullman that she wanted to learn more about his facial difference that she made it the focus of her project. Her father, Luis Pinheiro, encouraged her to not only read about it, but talk to people affected with this facial difference. He said, "I suggested, instead, that she contacted actual people (kids or adults alike) who have this syndrome and who might be willing to answer a few questions. The questions should take no more than 5 min to answer and are meant to educate her classmates (and their parents) so we can better understand and communicate with those who have TC syndrome." 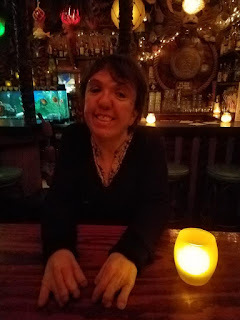 Luis and Nilah contacted CCA and executive director, Erica Mossholder, was kind enough to post to connect her with some video, CCA syndrome booklet, and people to talk to, like Jono Lancaster. Below you can see images of her at the science fair. Looks like it was a success. Thank you Nilah for raising awareness about TCS in NYC! Marco and Angie Garcia spoke on Sept 24th at Neil Armstrong Academy in West Valley City, UT in front of 120 sixth graders. The students recently read the book "Wonder" and welcomed two, real-life Auggie Pullman's into their classroom. Thank you Angie and Marco for sharing your story with these kids.